Guerlain’s best selling Creme Camphrea has been updated to a handbag size. 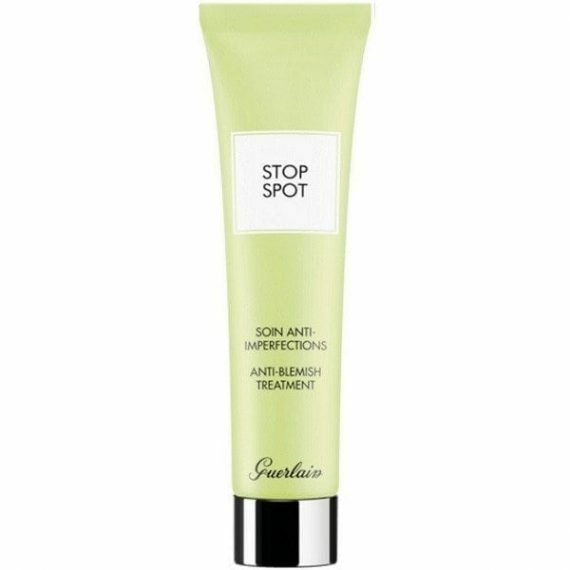 Tinted to cover a blemish whilst working its magic, Stop Spot contains a high concentrate of purifying camphor and acts instantly to target redness and reduce imperfections. Amazing!!! As soon as I notice a blemish, I use this under my makeup in the morning and leave on for the day/ or overnight. Its tinted to a skin colour so you can’t see it once its applied. Completely stops all spots. Lasts ages too!